...it was a huge relief when Fresh, Jenny and her excellent team were recommended to me as a sympathetic, caring and understanding practice. For over 20 years I had neglected my teeth due to a very bad childhood dental experience, I had found it impossible to even think about going to the dentist never mind letting one look inside my mouth!! So it was a huge relief when Fresh, Jenny and her excellent team were recommended to me as a sympathetic, caring and understanding practice. The years of neglect had obviously taken its toll, it was going to be a long road ahead of me but I felt reassured and able to take those first steps down the long road having talked to Jenny. After my initial assessment, I was given a clear and uncomplicated analysis of what needed to be done and how it would be achieved. My treatment was scheduled at a pace that I was comfortable with. On every visit of which there were many the staff were welcoming, reassuring and very accommodating. It is the little things that elevate a good standard of service to that of exceptional, appointment reminders, telephone consultations, notifying people that I was ready for collection after my treatment. All this would be irrelevant if I was unhappy with the finished product, after all the corrective treatment and smile makeover I can say my life has changed completely, no longer do I mask my smile, gone is the bottle of cloves on my bedside table, the once confident and extrovert person has risen from the ashes, if only I was 20 years younger!! Thanks for all the work and support, see you for my first 3 monthly check up. Jenny is one of the best dentists I have ever come across she has treated my family and me for several years and I have nothing but praise. We ensure that no matter how far I am based I still travel to see her. Jenny is professional, patient and very understanding – she’s an absolute gem. My family and I come to see jenny and we could not be happier with the service, skill and professionalism not to mention pure dedication to making sure were receive the best care. I cannot recommend the practice highly enough. The team are exceptional and they genuinely deliver a level of service and care I have rarely come across. 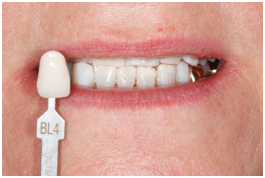 I had implant treatment after suffering for years with a poorly fitting denture as well as a gag reflex. 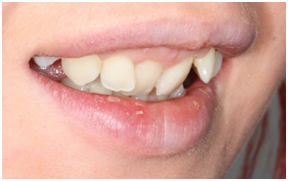 The implant treatment has been life changing – I can bite, chew and enjoy a wide range of foods once again. I feel totally cared for knowing that my best interests are at the forefront of everything that is done. 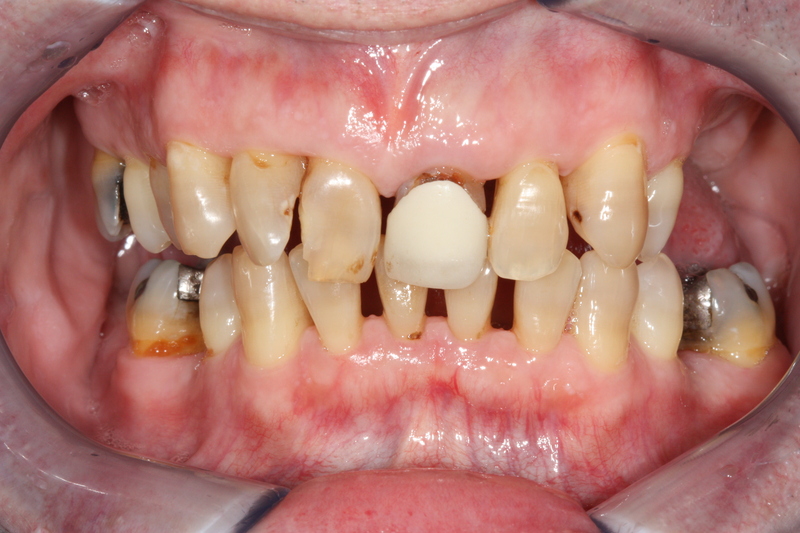 I can’t believe how quickly my teeth have been transformed… I wish I had had it done years ago. Thanks a million for my amazing smile. 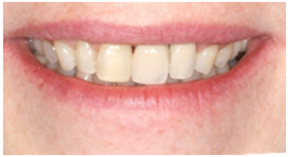 I was so pleased with the results from my treatment; I couldn’t believe how quickly I began to see the changes. I didn’t think it was possible for my teeth to look this good without years of dental work. The staff are amazing, I felt really comfortable and at ease, they explained everything and answered any queries. I would highly recommend this practice and treatment to anyone. It has boosted my confidence greatly. 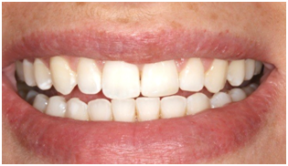 From the first consultation with Dr Kabir at Fresh Dental Clinic in York and throughout the whole treatment plan I felt comfortable and relaxed. The orthodontic procedure was perfectly explained from the start and it was clear that this was the right treatment for me. I was pleasantly surprised how quickly I got used to the braces and how unobtrusive they were. The outcome is way better than I ever imagined and has made a huge difference to my self confidence and smile. I wish I’d had it done years ago. I’ve been so happy with Fresh Dental Clinic I’m looking to have further treatment of whitening and an implant to complete the look! Absolutely fabulous, I can’t believe the amazing care and consideration. I’ve never known a dentist to care so much! The team are fantastic and put me at ease straight away. 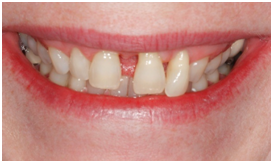 The quality and value of treatment I have received greatly surpasses all my previous dental experiences. 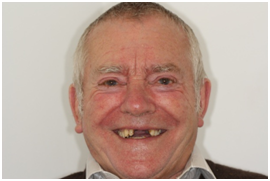 I cant thank you enough for the care and kindness, you’ve restored my faith in dentists! 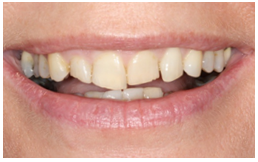 At 61, I was sure the only thing I could have done to my teeth would be veneers, but Jenny told me about the Inman aligner, which after having it fitted amazed everybody with its achievements. 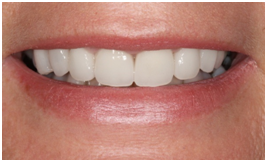 I am so pleased with the results and Jenny’s dedication to the results, that to finish the transformation I had zoom tooth whitening. 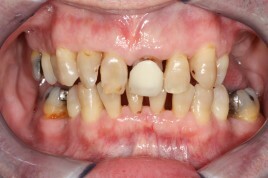 The results of the whitening were amazing my teeth changed by twelve grades. Thank you Jenny. Great Dentist, Great service & a great smile!! 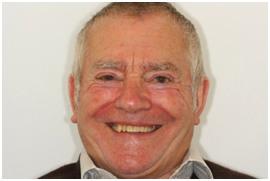 Since attending Fresh Dental Smile Clinic from February this year to the present, I have been very impressed by all aspects of the practice. The premises more than lived up to expectations by being bright and modern with every consideration given to patient comfort and convenience. More importantly, very welcoming and courteous staff do all that they can to put patients at ease whilst offering the highest standards of care. At each stage of my treatment, I have been informed of the implications of all possible options and have felt that I am a central player in the decision making process. This is because Dr Jenny Kabir is not only extremely knowledgeable but is also very astute when interpreting and processing patient wishes in order to arrive at an effective treatment plan. It seems to me that the staff at Fresh Dental work as a cohesive and dedicated team in order to make each person feel that they are special and not just another patient. The members of the team are all delightful and have found that elusive balance of being clinically excellent whist remaining very friendly and approachable. Ever since I was a teenager I have been unhappy with my uneven teeth, I have added to this problem over the years by grinding them in my sleep. In April this year I made enquiries on the Internet to find out what work would need to be done and at what cost. I came across quite a few dentists who specialised. Fresh Dental Smile Clinic wasn’t the first surgery I contacted: I made enquires and found most clinics said they would need me to make an appointment with my own dentist and ask for a recommendation. 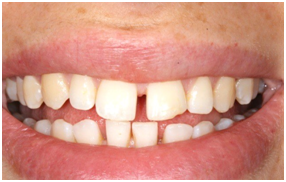 I would then be put on a several month waiting list and they all wanted paying for the initial consultation! I went back to trawling the Internet. This time I came across Dr. Kabir’s Clinic. I telephoned and found them very helpful right from the start. They made me an appointment for my free initial consultation within days. 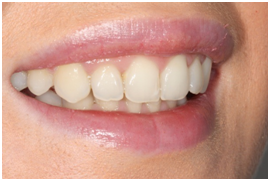 Jenny took the time to listen to what was important to me and how I felt I wanted my teeth to look. We went through costs, time limits, procedures and expectations. 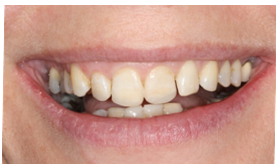 I decided to have an Inman Aligner to straighten my teeth, my tired and badly fitted crowns all to be replaced with nice porcelain ones, the teeth that have been ground down over time to be built up and any amalgam fillings to be transformed with white composite ones. 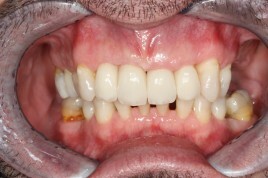 Finally after all my procedures are completed I will have my teeth whitened. It has been just 5 months since my preliminary enquiries and I am already three quarters of the way through my treatment. I am amazed by the dexterity and skill of Dr. Kabir. I always know exactly what is happening and feel supported and relaxed. Even when I am trying to speak during procedures (and I often do) Jenny will take the time to stop, sit back and listen to my enquiries and give me reassuring answers. I wouldn’t have thought it possible to have so much work done with hardly any discomfort! All the staff at the clinic are friendly, polite and professional; nothing seems too much trouble. Rather than feeling like a trip to the dentist it feels like visiting friends. I have been extremely impressed by my whole experience and I wouldn’t hesitate recommending the Fresh Dental Smile Clinic to anyone. 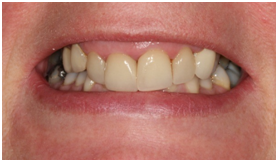 In fact when my smile is complete my husband Keith is going to have dental implants. I visited your practice today and I thought I could leave a testimonial for you as I was quite impressed with the service your dental clinic has provided. I chipped 3 of my front teeth the night before and I tried ringing up loads of dental clinics to ask for an emergency appointment. After calling about nearly 20 dental clinics, I was fortunate to get a positive response from Fresh Dental Smile Clinic. I rushed down via a cab and the clinic was ready to see me within 10 minutes. Dr. Kabir and the receptionist were able to calm me down (I was offered a drink) and Dr Kabir was really professional in explaining the problem that I was facing and the cost of it. 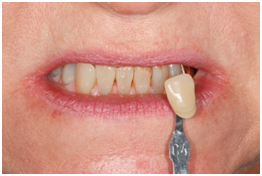 I was treated with white filling and I am quite amazed by the results and how fast it took. I feel at ease being in the clinic knowing that my welfare is well taken care of. I was given a prescription of antibiotics and was given another appointment to review the situation at no cost. Dr Kabir is definitely committed in providing the best treatment. At the end of the appointment, Dr Kabir even asked if I needed a taxi. That is just pure excellent quality service. Thank you Dr Kabir and Fresh Smiles Clinic.